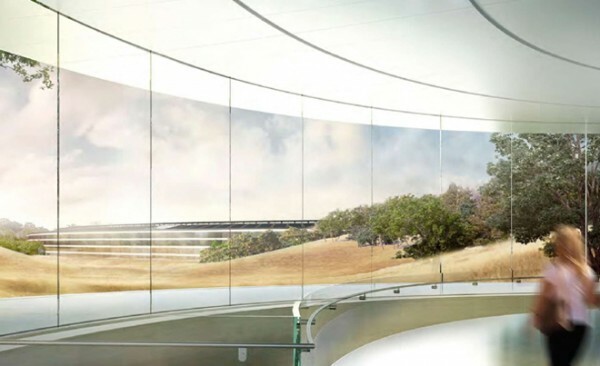 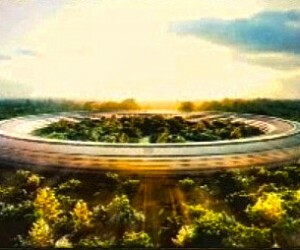 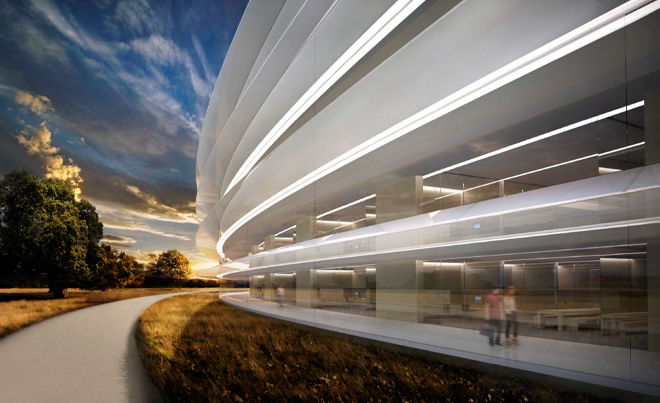 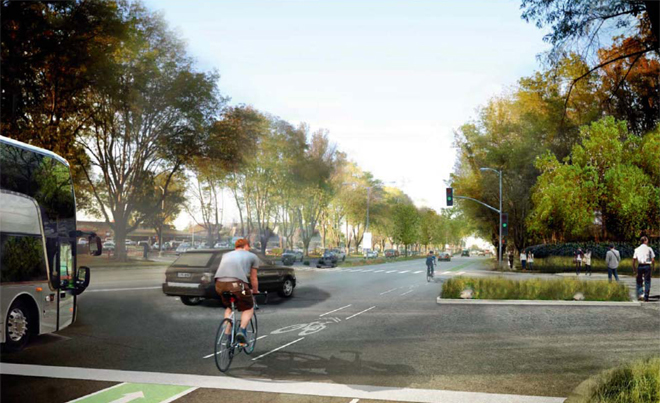 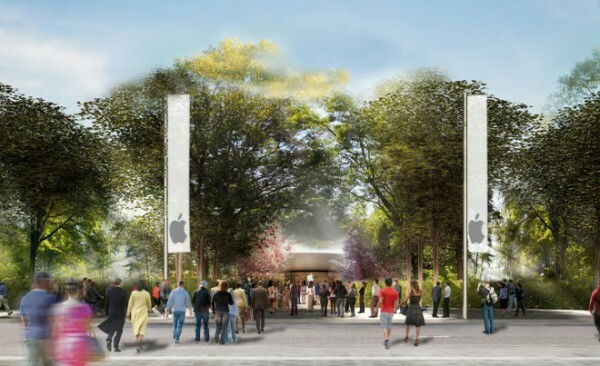 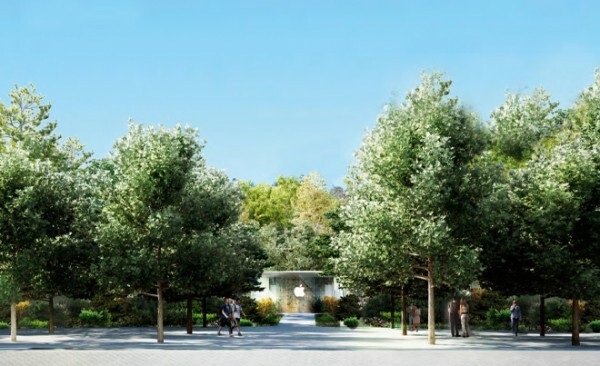 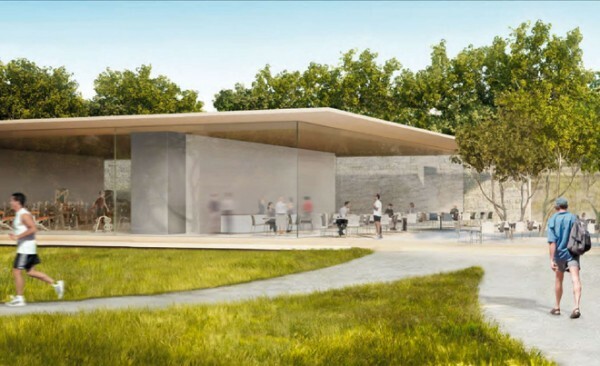 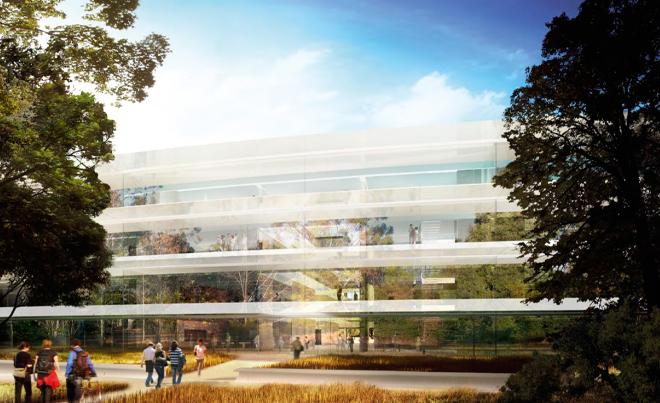 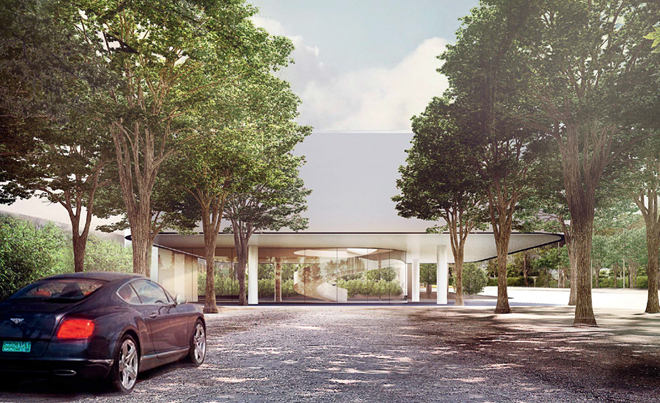 Way back in June 2011 we brought you early screen grabs from the presentation of Apple's Spaceship Inspired Future Cupertino Offices, and today we are tantalizing your tastebuds again with Apple's updated images of the headquarters. 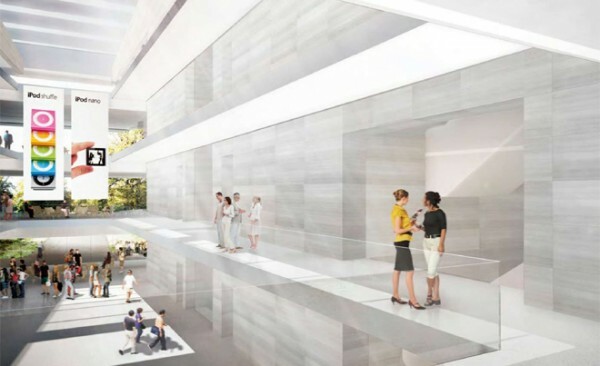 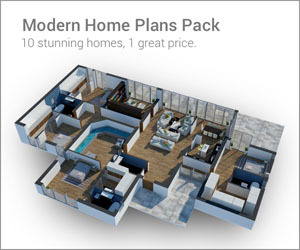 The four story extravaganza, thought to be pegged for completion in 2016, has allegedly been taken on by Norman Foster Architects, with Arup cited for consulting on engineering, OLIN for landscape architecture, and Davis Langdon for construction. 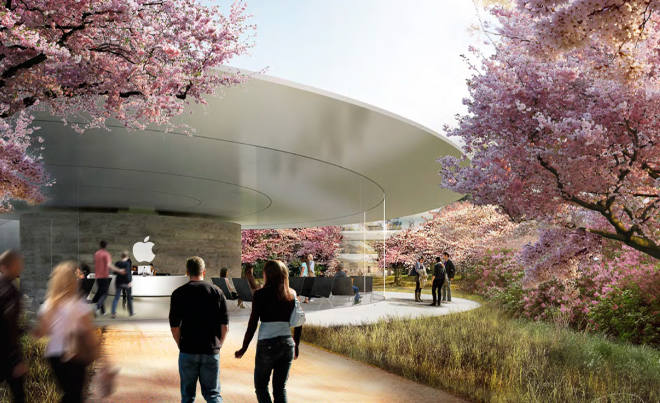 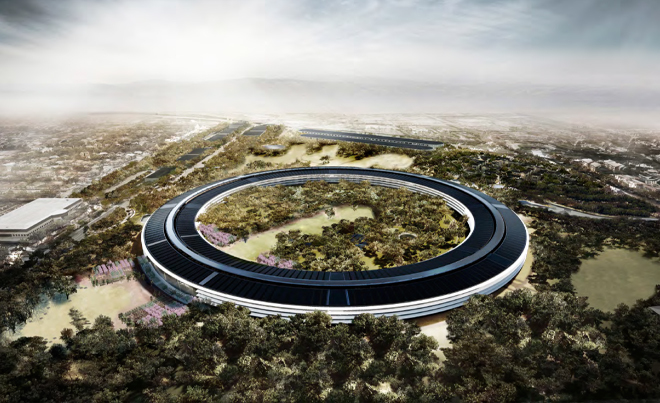 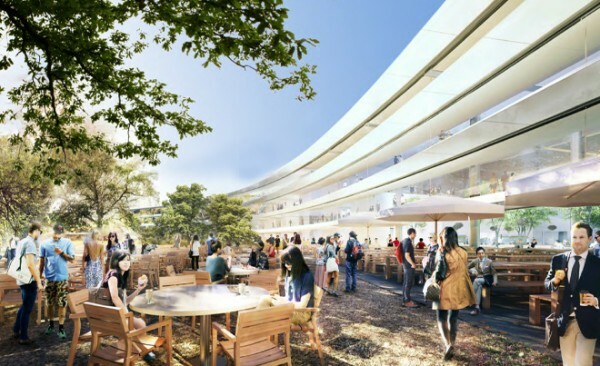 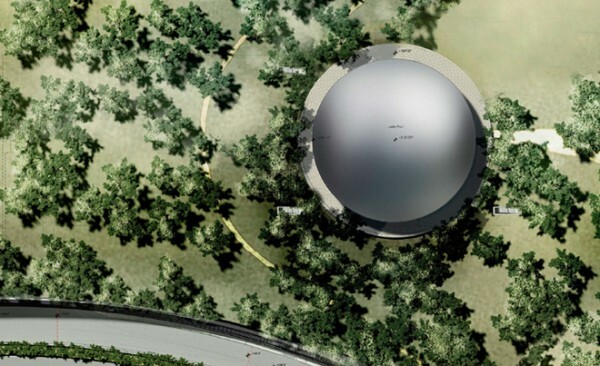 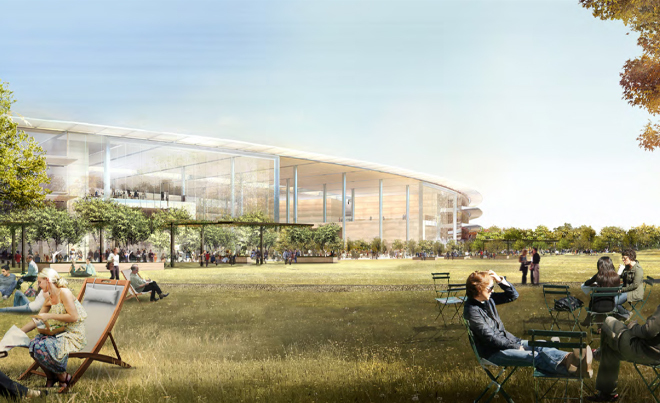 The proposal for this visionary architecture was also the last public appearance by Apple's late cofounder, Steve Jobs, who oversaw the design of the building, becoming part of the amazing legacy he leaves behind. 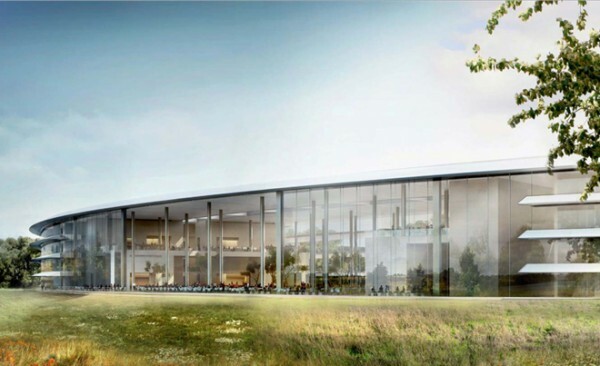 It will house 13,000 employees during their working day and is set to revolutionise the way the groundbreaking company runs it’s operations; all this whilst sticking to an eco-friendly outlook with its implementation of green technology and renewable energy, courtesy of Apple’s natural gas facility with a back-up electricity grid. Glazed walls allow natural light to flood into the workplace, creating an uplifting flow of sunshine. 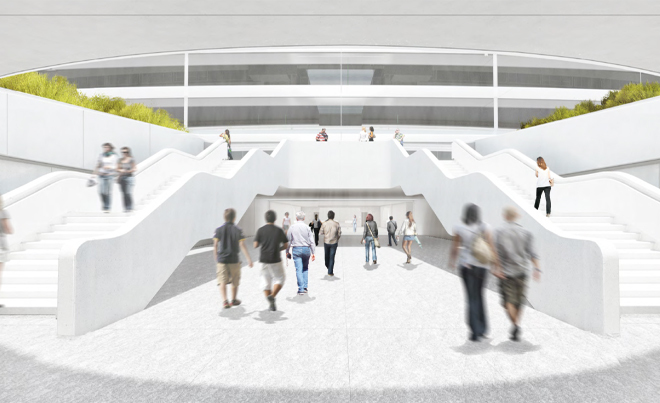 Inside the campus, the clear glazed theme continues across the mezzanine walkways to keep the interior feeling open. 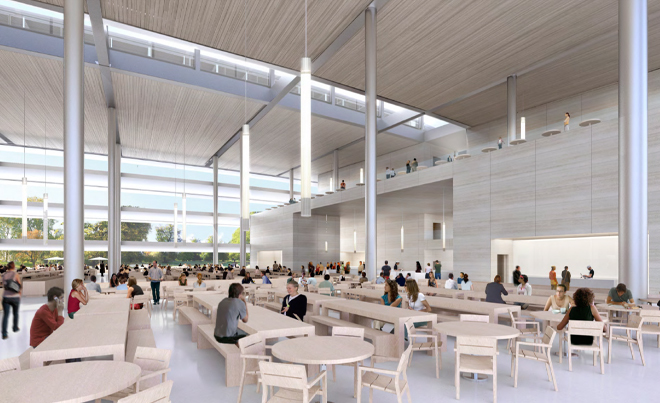 A lofty cafeteria provides the workers with an airy space to eat and exchange ideas. 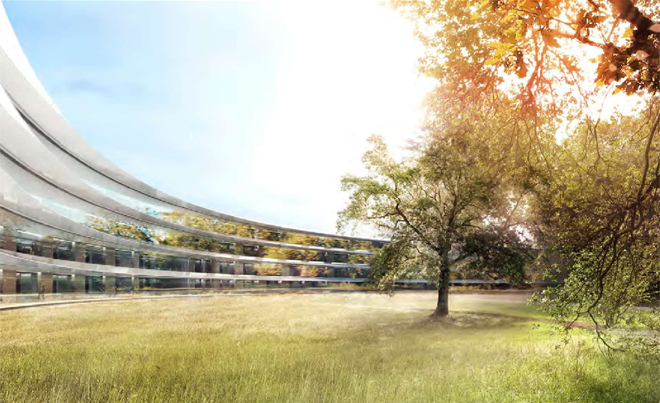 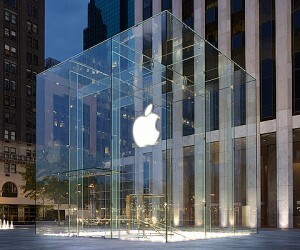 The property is rumored to be 2.8 million square feet. 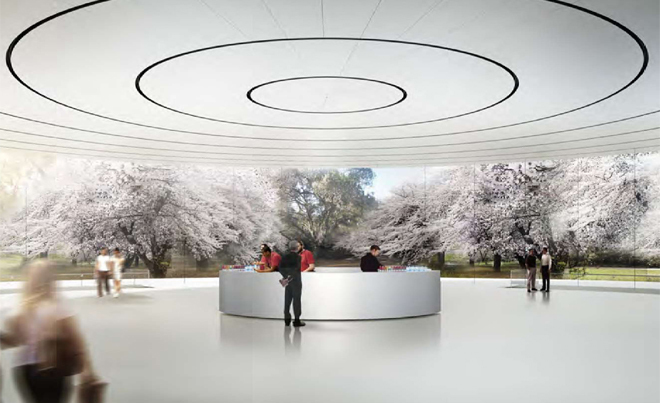 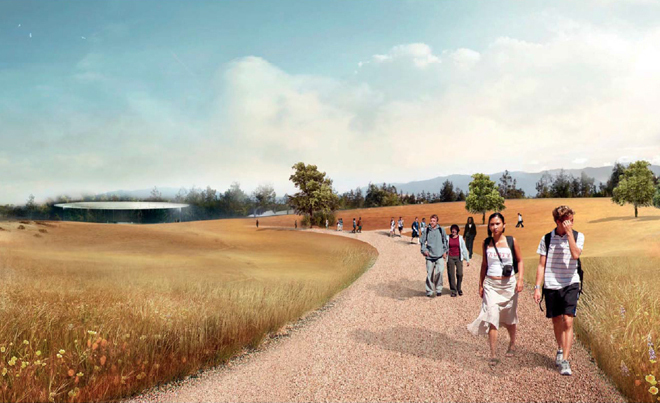 The pathway to a pavilion in which to receive members of the press at future Apple events. 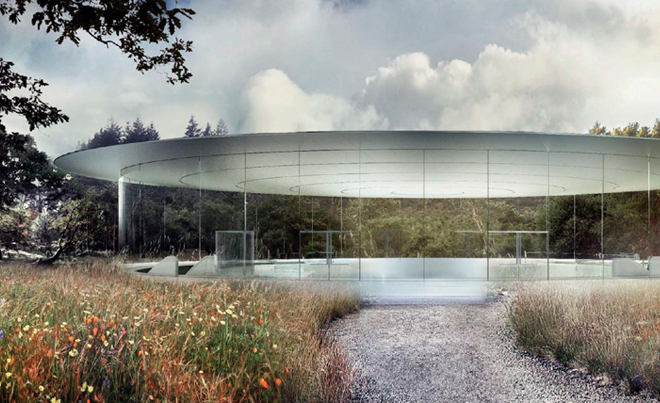 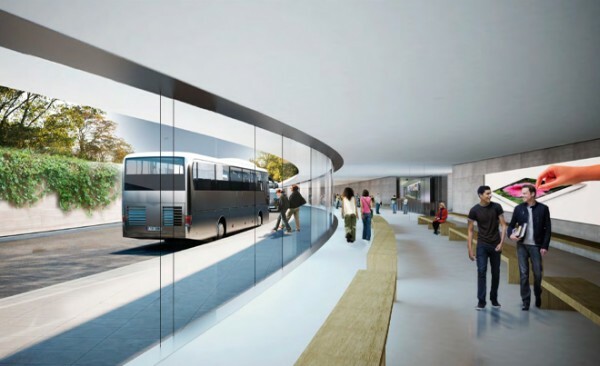 From this glassy receiving hall, visitors will be invited to descend into an underground corporate auditorium. 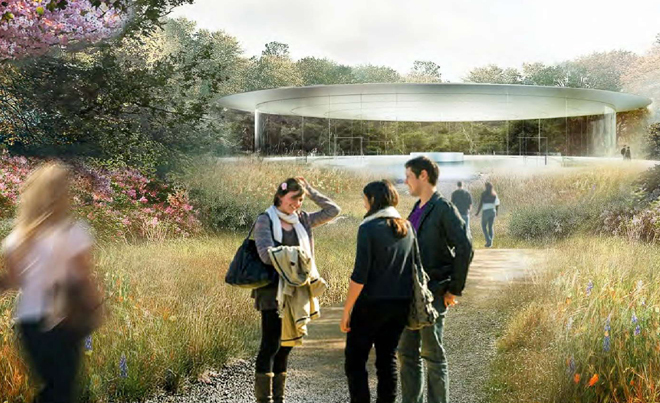 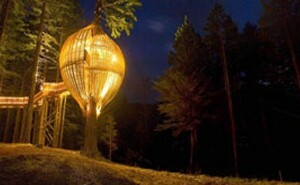 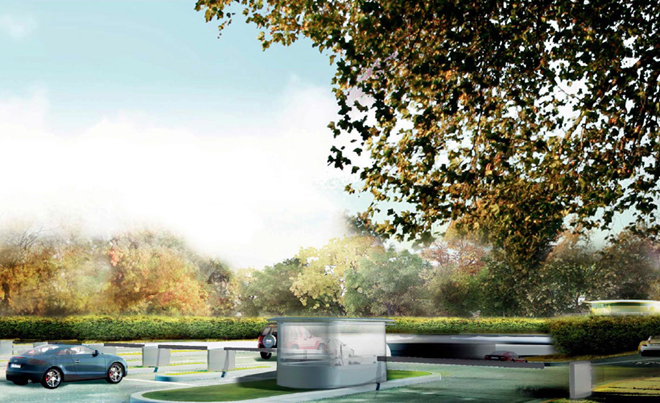 The outer ring of the building encircles a beauty spot, with serene landscaping. 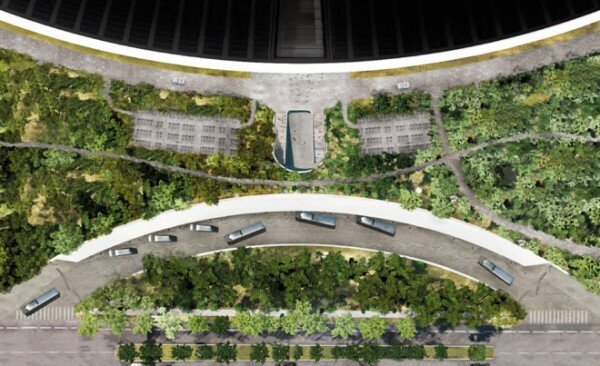 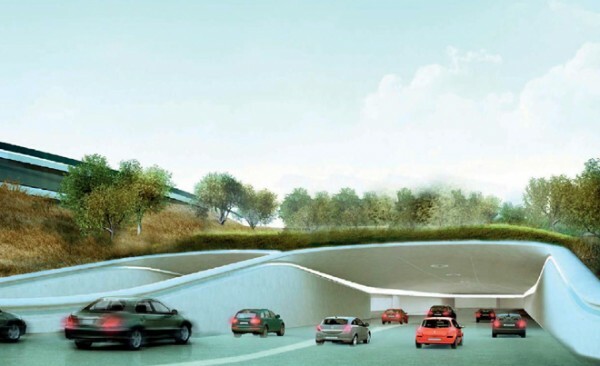 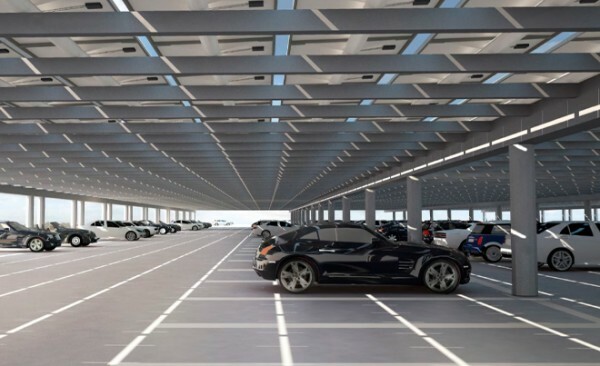 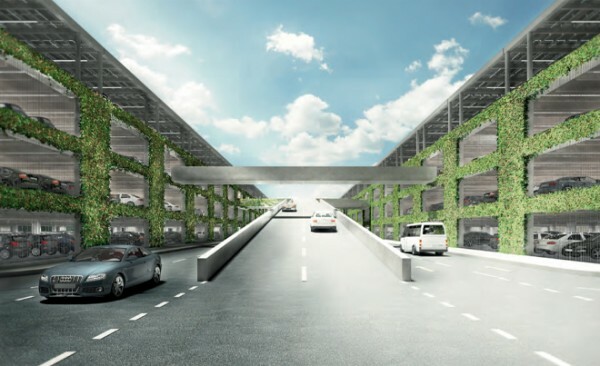 The gargantuan campus includes multi-level and sub-level parking garages to satisfy the parking needs of its many staff members. or for those who prefer not to drive, there is a corporate transit center to receive buses.